Torquay United goalkeeper Dan Lavercombe is set to move to Championship side Bolton on loan, with a view to a permanent transfer. The 19-year-old, who has made nine appearances for the National League club, has been on trial at Bolton this week. 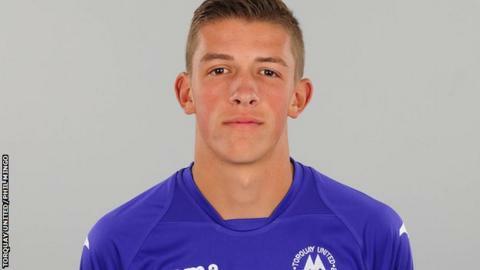 "If it happens, the deal has to suit both clubs and suit Dan," Torquay boss Kevin Nicholson said. "He's a young man with a fantastic future ahead of him." Lavercombe was one of the final players to come through the Gulls' now defunct youth academy and made his debut in April. He kept three clean sheets last season and has been in goal for Torquay's last two matches. "The reports I've had is that he's done very well up there. They're very keen on him so we'll wait and see," added Nicholson. "He's attracted interest off one or two clubs and Bolton have got first go at it if they want. "He's got the build, he's got the physique, he's still developing physically. But the most impressive thing for me is his character, how calm he is."